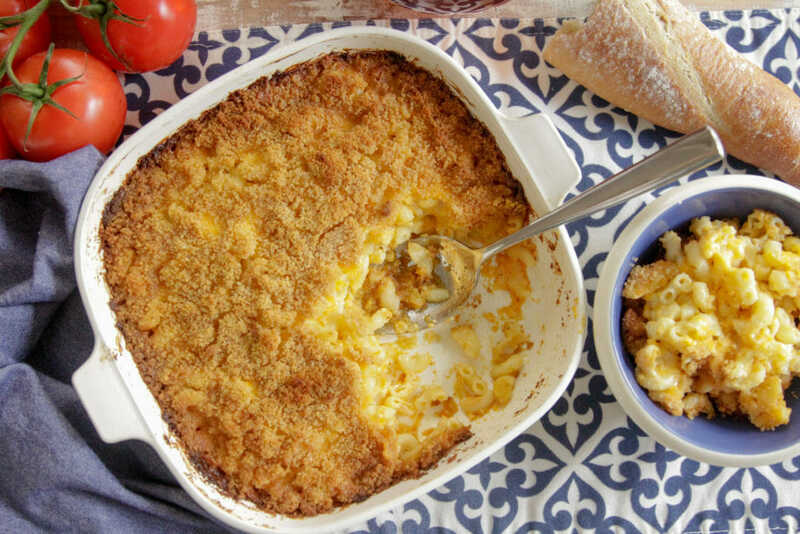 Our recipe for making creamy and delicious mac ’n’ cheese takes just a few ingredients, and involves a super simple hack – replacing the flour, milk and butter mixture (or Bechamel sauce) with Blue Plate® Mayonnaise. 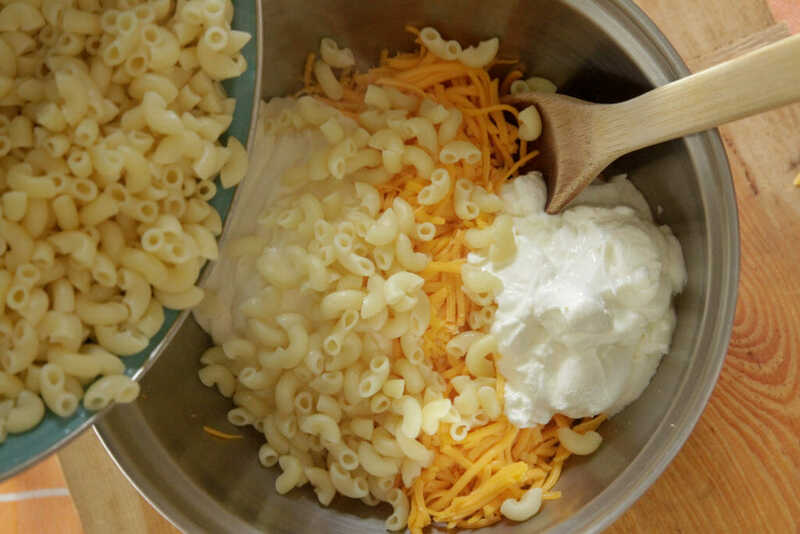 Simply combine mayo, yogurt and cheese in a large mixing bowl, and add cooked macaroni. Stir well, and pour into a buttered baking dish. Top with buttered bread crumbs for a great mix of creamy and crunchy textures, and bake at 350° for 30 minutes. With this recipe, you can use whole milk, 2% or skim, and non-fat or low-fat Greek yogurt, if that’s what you have on hand. (Of course, the resulting creaminess is best when using full-fat Greek yogurt.) Get ready to dig in and watch it quickly disappear! BRING a gallon of water and salt to a boil over high heat in a large pot. Add macaroni and cook 10 minutes, stirring occasionally, or for the time on the package directions, until pasta is al dente. Drain and rinse. 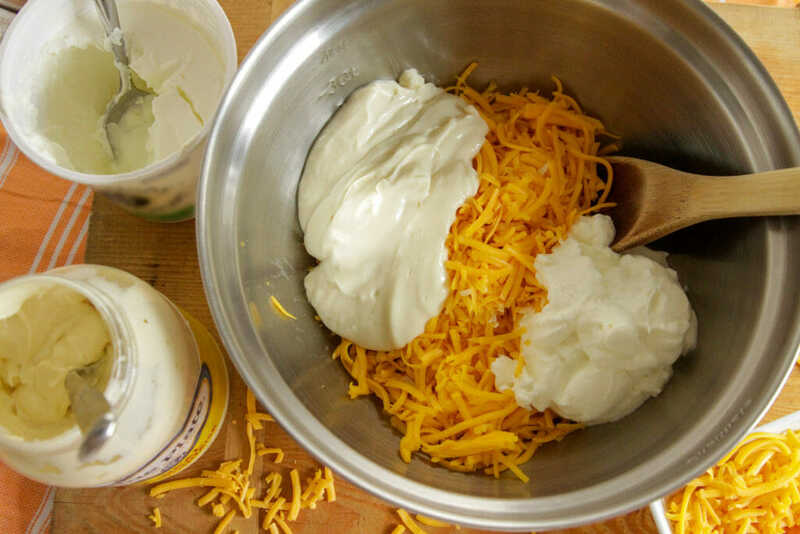 COMBINE mayonnaise, yogurt and cheese in the bottom of a very large bowl. Mix thoroughly. PREHEAT oven to 350 degrees. Coat an 11- by 7-inch or 12- by 12-inch baking dish with nonstick spray. POUR drained macaroni into the bowl. Mix thoroughly, until pasta is evenly coated. Turn into prepared baking dish and smooth top with the back of a spoon. HEAT butter in a large mug or small bowl for 30 seconds in microwave on HIGH, just until melted. Add bread crumbs and stir thoroughly to coat. 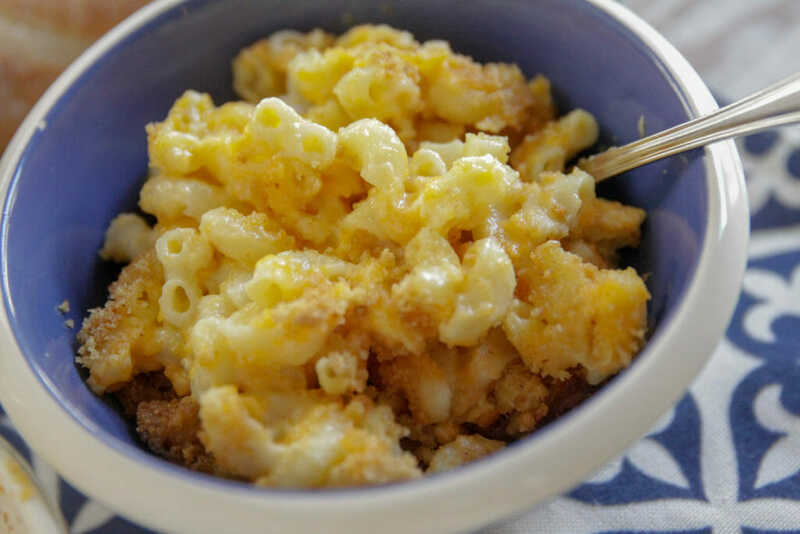 Sprinkle bread crumbs evenly over macaroni. BAKE 30 to 35 minutes, until the mixture does not slosh from side to side when the dish is gently shaken, and bread crumbs are golden brown. Let sit 10 minutes before serving. COVER leftovers, if there are any, and refrigerate up to two days. *This recipe will work with 2 percent low-fat or 0 percent non-fat Greek yogurt, but results are best with full-fat Greek yogurt. **To easily turn 1 slice of white or wheat bread into fresh crumbs, tear the slice into pieces and process on low in a food processor into fine crumbs. If making ahead, store in a plastic resealable sandwich bag.